Woolmark is a pioneer into making wearable wool for all seasons. We discussed the initial launch here.The collection showcased at this Fashion event, mostly depicted of that into more fashionable aspects. We all have seen the works of Rajesh Pratap Singh. This time having to see Suket's S/S 15 was a breath of fresh air. I was introduced to him during AIFW , and loved the androgynous styles. It was different and very laid back summer stuff. Very innovative too. 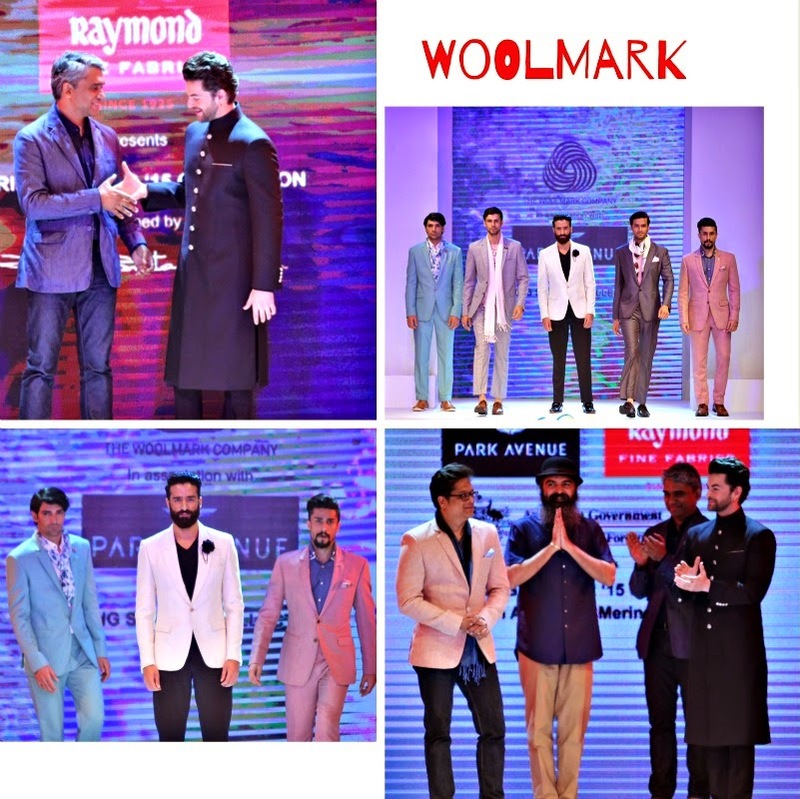 This time around, there were a multitude of shows, and the show stopper being Neil Nitin Mukesh(check the videos here) made up for a charming ramp ignition. The collection saw fabulous stream lined details made of wool silk blends and wool silk fabric which had unconventional detailing, best suited for formal wear at the same time leisure too. The latest Spring summer collection is crafted with cool wool (after its successful acceptance in the country ) which is know for natural breathability, and thermal management properties, which keeps the summers cool. Manufactured from light weight Merino wool -, it of course has become a quite favourite, for most of the designers , who design their collection keeping in mind the Indian Temperatures. P.S - Collection to be available at all Premium stores across the country.